Why Would Marissa Mayer Identify As Feminist? 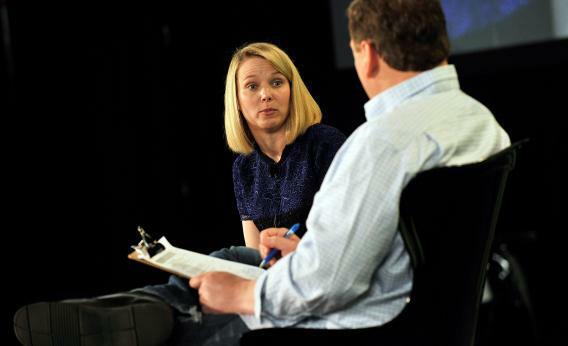 Would calling herself a feminist ever help Marissa Mayer’s career? As long as we all understand that “militant” and “chip on the shoulder” are euphemisms for “willingness to challenge sexism directly, even though it means that men will yell at you,” it doesn’t get more clear than that. Women are correct to believe that direct confrontations with sexism result in people turning on the “complainer” instead of blaming the person who acted sexist in the first place. Those who take up the mantle of social justice have always been people who, for whatever reason, are willing to be hated and willing to suffer repeated losses that affect them personally. Susan B. Anthony never got to see women get the vote. Taking that on just isn’t for everyone, even for a powerful woman who is unquestionably willing to suffer for the ultimate success of her corporation. Someone who would rather do what’s right than what’s profitable simply isn’t going to climb very high on that corporate ladder. Additionally, with a lot of successful women, there’s a psychological toll that comes from aligning yourself with feminism. Being the sole woman at the top of any food chain causes many women to convince themselves that they’re special, and that unlike those other women, they can hang with the boys. That’s the mentality that lingers behind young women saying, “Gosh, all my friends are men because I just don’t get along with women that well,” and that’s the incentive that will keep conservative women’s groups supplied with a steady stream of new faces. Plenty of women go through this phase and come out of it feminists when they realize the boys club they were so eager to be in is not as eager to have them.